When Walid fell ill at age six, it was the beginning of a devastating time for his whole family. For months, his parents took their son from one doctor to another, seeking a cure. Just remembering those days still upsets Qamar. He takes a moment to gather himself before continuing to explain that he and his wife had initially thought their son had jaundice. When the treatment for that failed, they were at their wits end, particularly as Qamar was finding it increasingly difficult to pay for Waleed’s tests and treatment. Living in Ghotki, Sind, Qamar worked as a salesman in a private firm. In that last month before they found out their son had cancer, his work performance had suffered drastically, and his job was at risk. “Fortunately help was at hand,” explains Qamar. “A relative told us that free cancer treatment for poor and deserving cancer patients was available at Shaukat Khanum Hospital.” Qamar admits that at the time he didn’t actually believe this relative. However, he had no other option than to try. 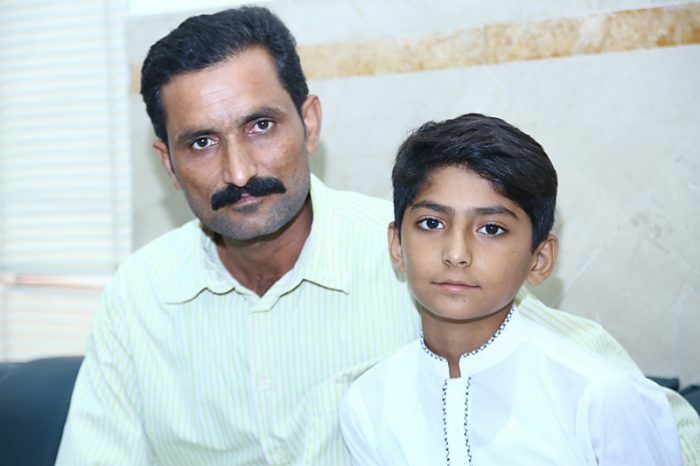 Qamar took his son to the Shaukat Khanum Walk-in clinic in Karachi, where Waleed underwent a detailed examination, which was followed by a series of tests. At the end of it all the medical team there were forced to give Waleed’s parents some devastating news –Waleed was suffering from cancer of the pancreas. A SKMCH, Waleed underwent a detailed evaluation by a highly professional team of doctors and was admitted for treatment. “Until now, all his treatment has been completely free, for which I can never thank the hospital enough.” Qamar goes on to explain the challenges they faced as a family during that year of Waleed’s treatment, particularly since he lost his job and was forced to relocate to Lahore. Qamar’s family has now moved to Karachi, where they live, reunited once again. Qamar has found a new job and all his children, including Waleed, are back in school. 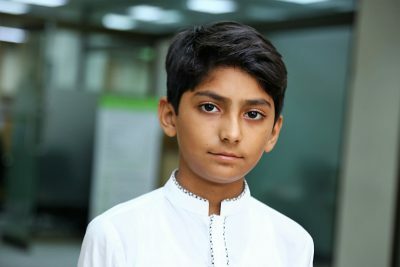 Waleed’s story is just one of many from among the thousands of poor cancer patients who have beat cancer at Shaukat Khanum Hospital. Their treatment was possible only through your Zakat and Sadaqah and most of all, your trust in our work. Thank you for your ongoing support. 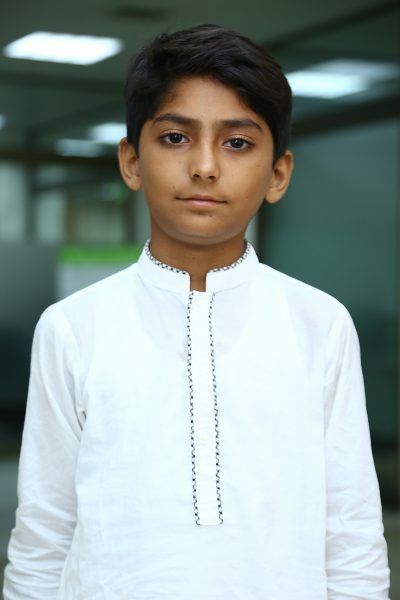 You can sponsor the full or partial treatment of a child patient like Waleed at Shaukat Khanum Hospital, and give a family hope of life. Find out More.